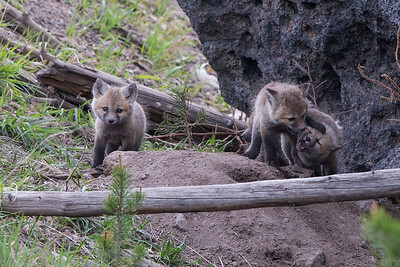 Red Fox and kits from various locations. 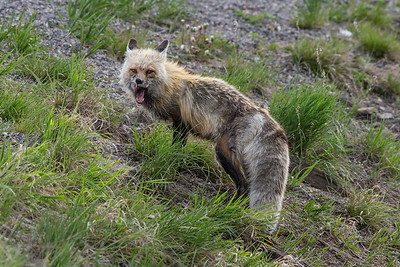 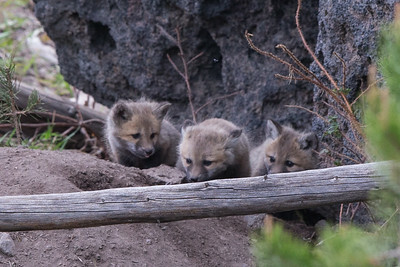 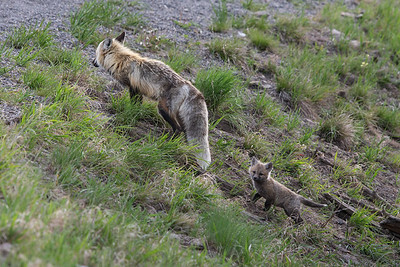 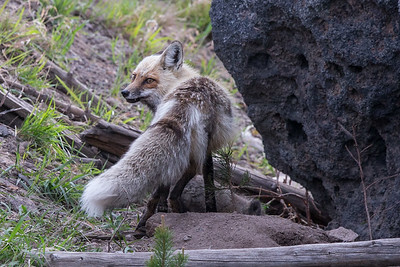 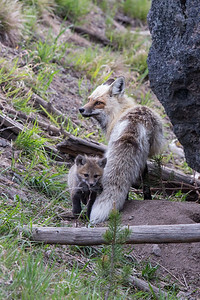 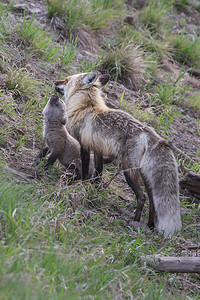 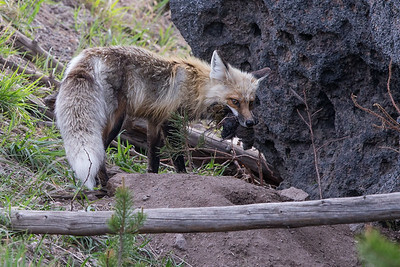 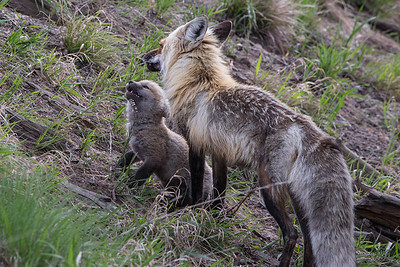 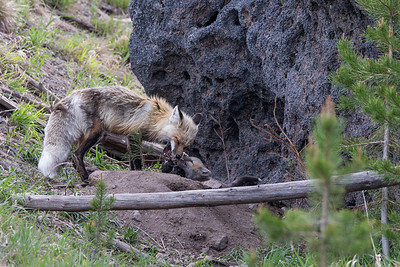 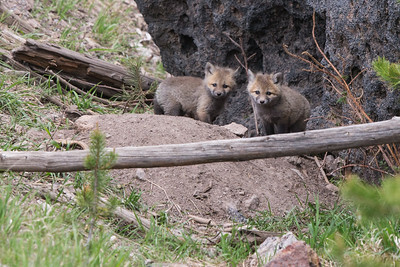 Fox den in Gibbon Falls area of Yellowstone. 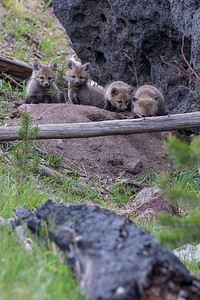 Vixen and 5 Kits. 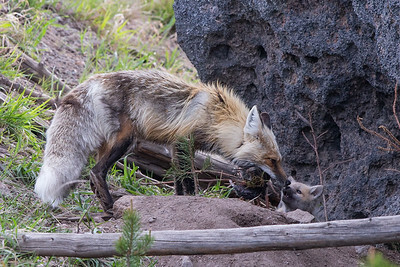 Mom returning with mouthful of mice for kits.